Durham dining delights! Morehead Manor Bed and Breakfast is proud to be located in Durham, “The Tastiest Town in the South” according to Southern Living in 2013. Guests of our local bed and breakfast can savor farm fresh and delicious local cuisine near to our award-winning inn. Basan has a menu which features modern Japanese appetizers, entrees, and a wide variety of specialty rolls as well as an extensive sake selection that are all inspired by the West Coast style of modern Japanese cuisine in a comfortable atmosphere. According to Southern Living Magazine, Bull City Burger and Brewery, “takes its locally sourced agenda seriously.” Almost everything served here comes from within a 75-mile radius. Beef is pasture-raised with no added hormones or antibiotics. The brewery part takes place right on the premises with the brew tanks visible from the dining room. Eight of the resulting brews are available on tap and rotate seasonally. Dame’s Chicken and Waffles is Southern comfort food. 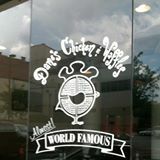 According to Oxford American, Dames does it with, “perfectly fried chicken.” Southern Living loves their “tender fluffy waffles.” Dame’s uses various kinds of waffles (from classic to gingerbread to blueberry) and a flavored shmear (a kind of buttery spread). Mateo Bar de Tapas was opened by Chef Matthew Kelly who is also the executive chef at local Durham French Bistro, Vin Rouge. This restaurant blends Spanish flavors with traditional Southern ingredients and dishes into a rotating menu of marvelous food. Revolution serves seasonal contemporary global cuisine to Downtown Durham. Chef Jim Arise’s menu features both small plates and entree-sized portions, offers a special tasting menu, allows diners to create their own dining experience, and offers fifty bar options under fifty dollars. Metro magazine noted that Tobacco Road Sports Cafe, “serves more than your standard bar food. The menu includes crab cakes, lettuce wraps, Cajun po’boy, and more.” Thrillist named this a must hit sports bar before a Duke–UNC game. They recommend having their fried catfish while sitting on their patio which overlooks the Durham Bulls Athletic Park and the iconic left field bull. Each morning, guests of Morehead Manor Bed and Breakfast in Durham receive a delicious, complimentary gourmet breakfast. 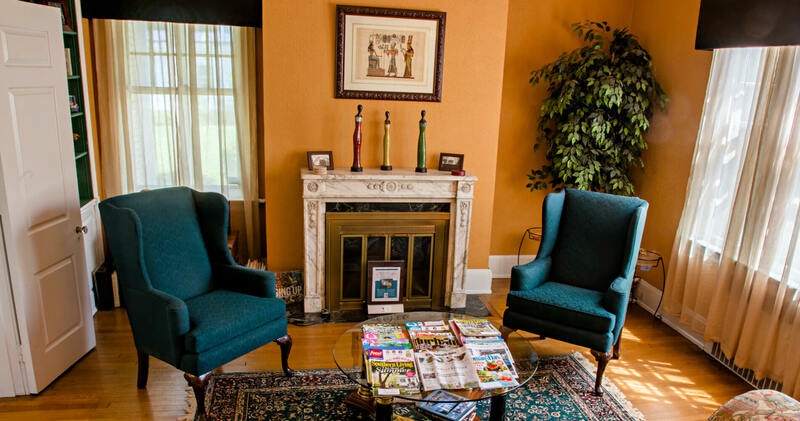 We look forward to your Bull City visit and your stay at our luxurious bed and breakfast. This entry was posted in Uncategorized and tagged award-winning inn, Basan, Bull City Burger and Brewery, Dame's, dining, Durham, Durham Bulls, farm fresh, Mateo, Morehead Manor Bed and Breakfast, Parlour, Revolution, Tastiest Town, Toast, Tobacco Road by admin. Bookmark the permalink.